With October 31st just around the corner, it’s time to get excited about Halloween because who doesn’t love the chance to have some spooky fun and get dressed up? 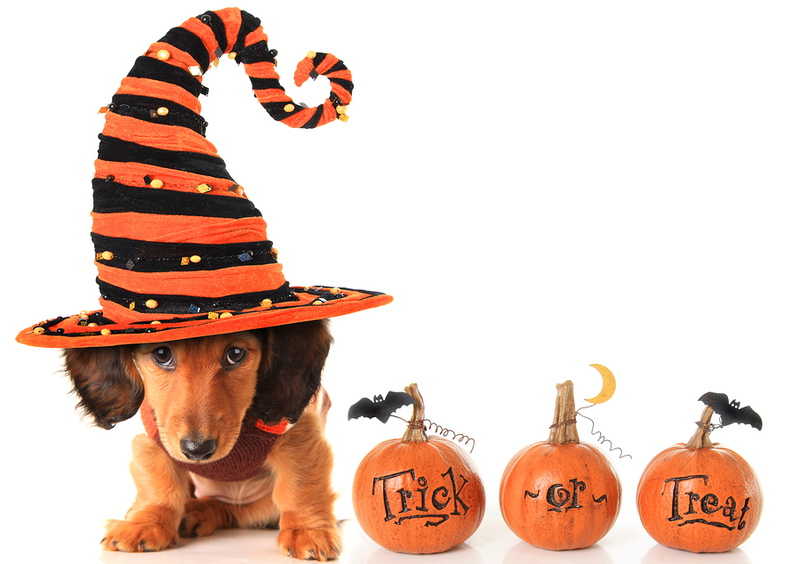 Not only for kids, Halloween is a great time for the whole family (including our pets) to don their favourite costumes, enjoy some treats and have some fun. Whether you choose to opt for a matching family costume, or show off your own individual style, read on below for some great tips on how your pet can join in on the fun too! One of the best parts about Halloween is getting dressed up, whether you choose your favourite character from a scary movie or book, or opt for something a little more classic like a witch or a vampire. But it’s not just for humans! Now your pets can wear their Halloween costumes as well, and we have a few great DIY ideas that will make them stand out from the crowd. This one is too easy. 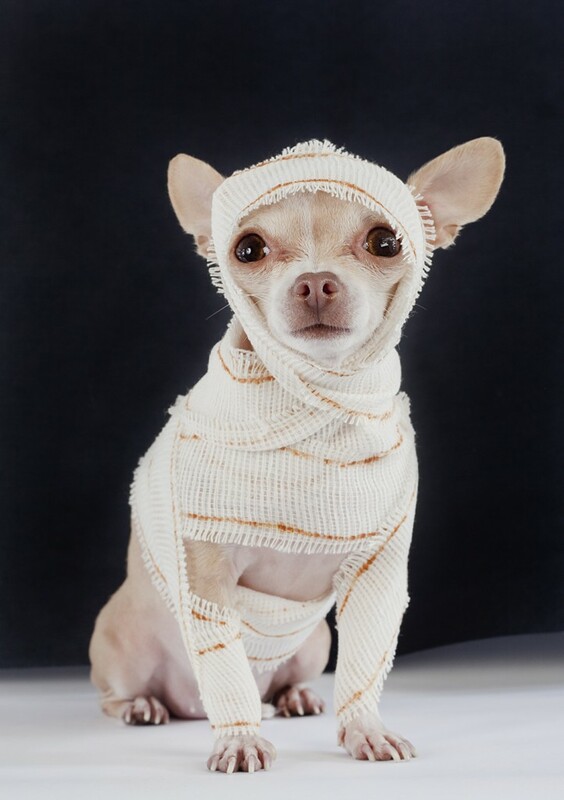 Simply purchase a white dog hoodie or a white childs tee (modified to fit) and glue cotton gauze or stick multiple bandages on it. Once your creation has dried, put it on your dog for a scary ‘mummy’ look. There’s something undeniably cute about dressing your dog up as a cat and we can’t think of a better costume idea than a ‘black cat’ dog! All you need is a child’s black top (again, modified to fit,) for the body of a cat. Next get some black felt, cut into two medium sized triangles and glue them to an elastic headband that will comfortably fit on your pet’s head. And there you have it, a ‘Black Cat’ costume for your dog! This animal costume is one of our favourites and is easy to make at home. Again, use a child’s black t-shirt as a base. Head to your local arts and craft store and buy some white fabric paint to paint a tuxedo shape onto the front of the tee. Next pop it on your pet (once the paint has dried of course) and tie a black ribbon into a bow around your dog’s neck. Make sure it is loose enough so your pet can breathe easily. Cats can join in on the fun as well! While they may not be as happy to get dressed up as dogs, there are a few things you can do to get them in the Halloween spirit. 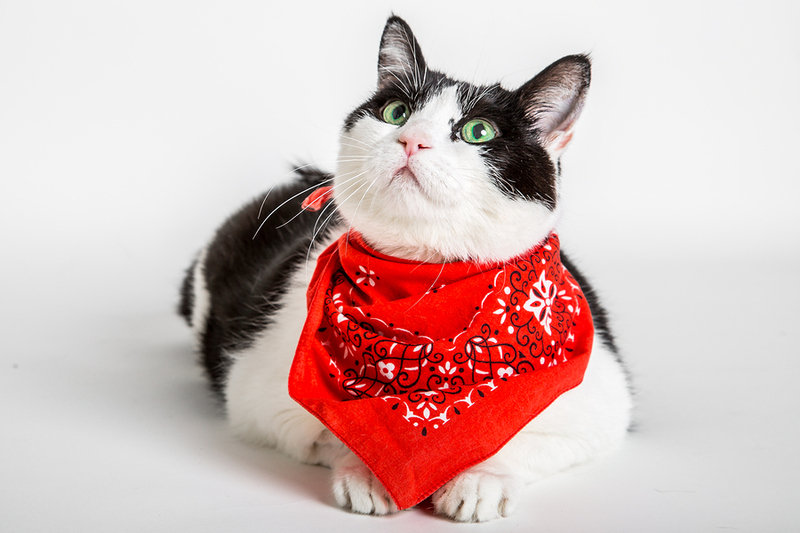 Try easy costumes like a ‘Mexican Cat’ that only requires a red printed bandanna. Simply fold it into a triangle and tie it around your cat’s neck (loose enough so it can still breathe perfectly). Too cute! A big part of Halloween is the treats and your pets don’t have to miss out! Delicious pet treats could include liver treats, milk chews or dental treats that you can purchase at any pet store. Just remember: keep chocolates and lollies away from your pets as consumption can lead to some serious health problems! Keep in mind that while we love to spoil our pets, only feed them treats in moderation.